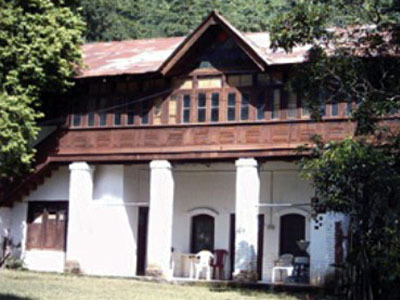 The palace of Lambagraon was originally built as a house of pleasure (for dancing girls - Mehfils) about 250 years ago. It is set amidst a 35 acres mango orchard. 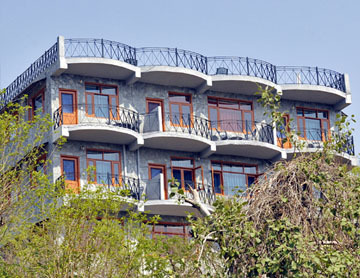 This property when completed will have 20 bed rooms and a honeymoon cottage on the river Beas to rent. Most of the acreage of the property will be converted into a 9 hole golf-course. 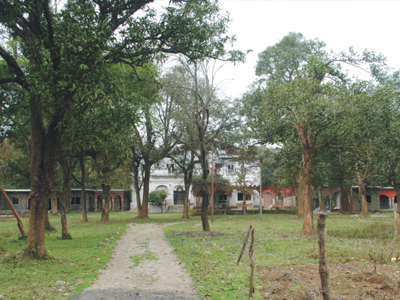 The property will feature all the refinement of a palace, large halls - with ancestors' portraits, paintings- carved furniture and decorative artifacts of the Raj period. The garden of the palace will be embellished with large pavilions and a swimming pool. - The Hotel project is expected to be completed by 2020. 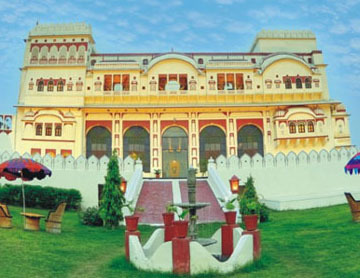 - Lambagraon is only 5 hours away from Chandigarh by road. - From Delhi it is connected by an over night train to Una station (Which is two and a half hours away by road). Places to see around Lambagraon - Palampur - Bijapur fort - hunting lodge of Maharaj Nagar - temples of Jaisinghpur, Ashapuri - Baijnath - The gardens of Alampur - forts, palaces and temples of Sujanpur and Nadaun (The river Beas is ideal for fishing, boating and picnics). The project is situated minutes away from the hunting lodge of Maharaj Nagar. 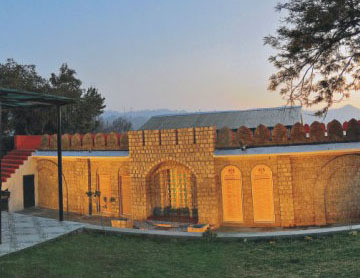 The setting of this small complex is in the forests of (Rajgir) Naghban near a small stream. The camp will have 20 well appointed cottages and a central dining area. Project will completed by 2020. Services provided - picnics, long and short night drives to see wildlife (barking deer, Sambhar, Wild boars, Leopards, Pheasants, Jungle fowls etc. ), treks within the forests and to the Asha Puri Temple. -	Approachable from Palampur and Lambagraon - 1 hour away. 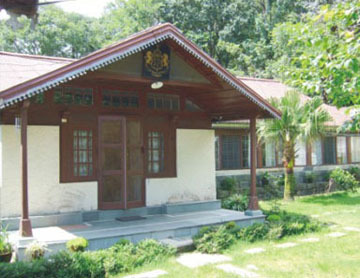 -	Dharamsala and Kangra Airport two and a half hours away. -	Una (Rail connection to Delhi) 4 hours away. Places to see - Lambagraon - Ashapuri temple - Bijapur fort - Jaisinghpur temple - Gardens of Alampur - Sujanpur fort and temples - Dharamsala - Palampur. Situated high in the Mountains (6500 feet) on the confluence of two trout filled rivers (an ideal summer get way). The lodge is situated on the bank of river Ull and will have six bed rooms and a central dining area to rent. It is about two and a half hours hours away from Palampur and about three and a half hours away from Dharamsala, Mandi is about 2 hours away. - Anglers lodge is expected to be completed by 2020. 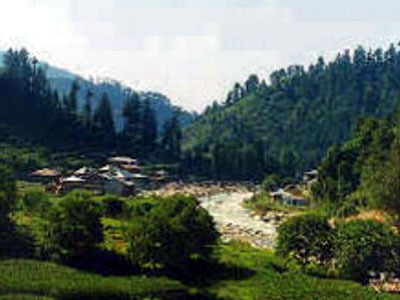 Places to see - Palampur, Kullu - Manali, Mandi - In Barot one can drive about 20km. into the untouched Himalayan ranges, which is really worth doing. Barot also has a trout (fish) farm, a dam and an old Raj period trolley pulled up the mountain side at an incline of 43 degrees by a cable wire. 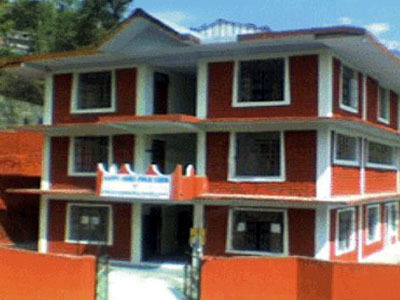 This primary (co. education) school started by Tikarani Shailja Katoch is situated in the town of Dharamsala. This has been started in order to provide progressive education to the children of Dharamsala (it starts from nursery classes to the 5th standard).